The team at Kearny Mesa Subaru is proud to serve the communities of National City CA, El Cajon CA and Carlsbad CA with Subaru cars. We are ready to assist you and can easily be contacted by phone. Take a look at our inventory of new Subaru vehicles, including the new 2019 Subaru Legacy, WRX, Impreza, BRZ, STI, Outback, Forester and Crosstrek. 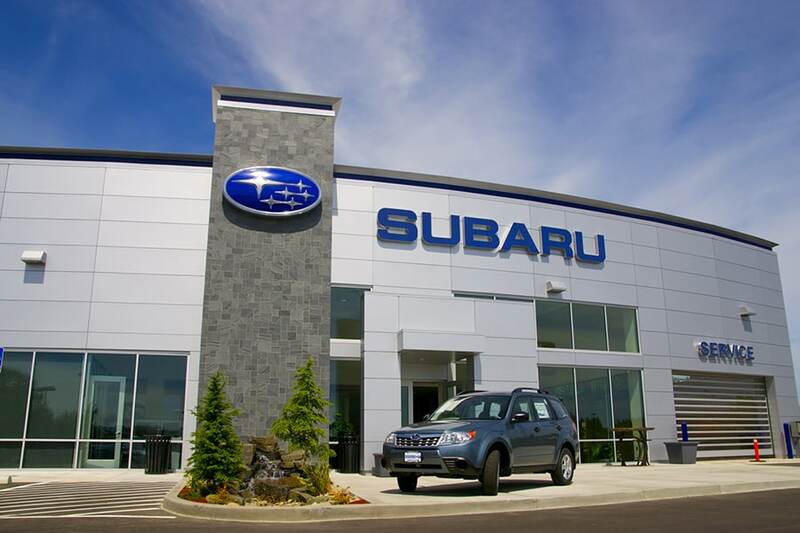 In the San Diego region, Kearny Mesa Subaru is a leading provider of new and used Subaru vehicles, thanks to our quality automobiles, low prices, and superior sales staff. Come and visit us and take a Legacy, Impreza, Outback, Forester ,WRX, or the All-New 2019 Subaru Ascent SUV for a test drive. Searching for a used car in San Diego? Start and end your search with Kearny Mesa Subaru and save thousands. With a huge selection of low-priced, high-quality vehicles, we are certain that we can locate a used car that suits your taste. Our used car inventory includes an extensive variety of today's top automakers. If you have not been able to locate a specific new or used car in San Diego, use our CarFinder form and we will alert you by email when a matching vehicle arrives at our San Diego Subaru dealership. Do you need financing with your purchase of a new or used Subaru? We can secure a great interest rate on a car loan in San Diego. Our financial experts will cater a car loan or lease to your needs and ensure you get the best deal. If you need Subaru parts or accessories in San Diego for your vehicle, Kearny Mesa Subaru is the place to go for manufacturer-approved car parts at competitive prices, backed with exemplary customer service. We have a professional staff on hand to assist you with your needs; whether it is auto parts like batteries and oil filters, or accessories like a bed liner or new car stereo system. We also offer Subaru repair and service . When you need car repair or maintenance in San Diego CA, El Cajon CA, National City CA, or Carlsbad, CA you can't afford to take your vehicle to someone who is not trained in the latest service and diagnostic techniques. We know you don't have the time for that, so our technicians will work to get the repair right the first time you bring it in. As you can see from the above, Kearny Mesa Subaru is a full-service San Diego, new and used car dealership. We're dedicated to providing the best service possible, and will assist you through the purchasing process any way we can. Visit us at 4797 Convoy St, and read more about us. A Subaru dealership in San Diego, CA serving the nearby communities of National City, El Cajon & Carlsbad. We Proudly Serve Customers From National City, El Cajon and Carlsbad and All Over the San Diego region.